New Jersey Monthly Magazine, as "Top Doctor". Physician Recognition Award by the American Medical Association in continuing education. Stephen Angeli, MD, has been one of the leading cardiologists in Bergen County for more than two decades. 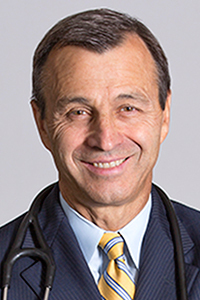 Dr. Angeli is board certified in cardiovascular disease, interventional cardiology and internal medicine. He is a specialist in interventional cardiology and cardiovascular disease and has been named a Top Doctor by Castle Connolly. He has served as Division Chief of Cardiology and Chief of the Cardiac Catheterization Laboratory at Holy Name Hospital. Dr. Angeli graduated from the State University of New York, Downstate School of Medicine. He completed his residency in internal medicine at Kings County Medical Center and his fellowship in clinical cardiology at Saint Michael's Medical Center in Newark, New Jersey. Dr. Angeli is a member of the American Medical Association and the New Jersey Medical Society. He is a Fellow of the American College of Cardiology and the New Jersey Society of Interventional Cardiology. Dr. Angeli was named in New Jersey Monthly magazine, as a "Top Doctor" and was awarded the Physician Recognition Award in Continuing Education by the American Medical Association.